Have registered to utest.com a few years ago, although have not tried to test any of the projects there. Have you? What I found recently - the utest blog, full of interesting articles and interviews. Recommend. short pdf with slides on agile testing. hot topic for me. I have got a chance to work at previous www.aitecs.com, now Moog as software tester for five months. Worked with software for infusion pumps. It was a great experience for me as a tester and want to share with some impressions. 1. Same rules. The first lesson I learned that same rules for testing apply everywhere. Embedded software frightened a little. I thought it should be very different, and I do not know how to test. I learned that all the rules that apply to web site test, application testing, also apply to embedded software testing. Testing the software of infusion pump got me back to pure testing. Analyzing the new functionality, applying mixed of black and some white box methods, searching through requirements made me feel real tester. Baltic testers invited to conference "Theory and Practice of Software Testing", 11th International Conference 'Discover the Tester in You' - July 6, 2010 in Ryga (Latvia). Call for papers announced: two types of presentations are planned – short (15 minutes of talk, 5 minutes for questions) and long (30 minutes of talk, 10 minutes for questions). The submission should include a meaningful abstract of your presentation (up to 3 pages), indication of presentation type (short or long), a short biography and full contact details. Language – English. For more info on topics look at is.lv website. 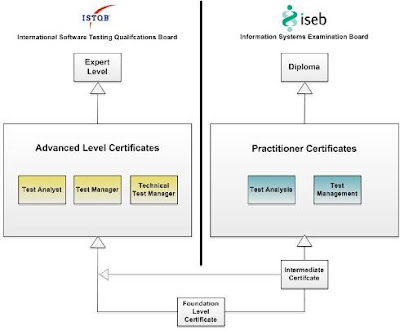 I am interested in suggested topic: Embedded software testing challenges, tips and tricks: Testing embedded software. It would not be correct to present topic on project I no longer work with, so will try to make a longer post here later.